Fees associated with filing industrial design applications in Argentina, as well as other design fees, are available in the fee calculator. Multiple class applications are possible in Argentina, provided that they belong to the same class of the international classification of industrial designs and they do not exceed 20 designs per application. The official language of an Argentine design application is Spanish. - clear representation of the design (drawings, photos or digital reproductions). The original Priority Document is not required, but the sworn translation into Spanish must be provided within 3 months from the filing date if requested by the Office. However, the original of the priority document may be requested by the Office. An original Power of Attorney is required to be filed within 40 business days and must be notarized and legalised. The term for filing an industrial design application in Argentina claiming conventional priority is six months from the priority date. The restoration of this term is not possible. A design application filed in the Argentine Patent Office only undergoes formal examination. There is no procedure of substantive examination on industrial design applications in Argentina. The disclosure of an industrial design will not disprove its novelty if it is made within six months before the filing date, or if priority is claimed before the priority date, by the inventor or his successors in law by any means of communication. If such disclosure has taken place, evidentiary documents must be included. The basic validity term of an industrial design in Argentina is five years, which is renewable up to two consecutive times for 5-year periods. The maintenance fees should be paid within 6 months prior to the expiration of the previous 5-year term. Late payment is possible within a six-month grace period after the due date by paying a corresponding surcharge. Registration of a design application takes an average of 3 years dependent on whether the process is smooth or not. For foreign applicants, it is necessary to perform industrial design prosecution in Argentina through an agent, registered as Argentinian patent attorney. 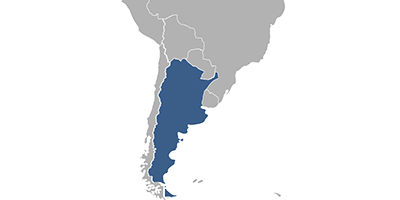 Online Database for Argentine Designs Search.